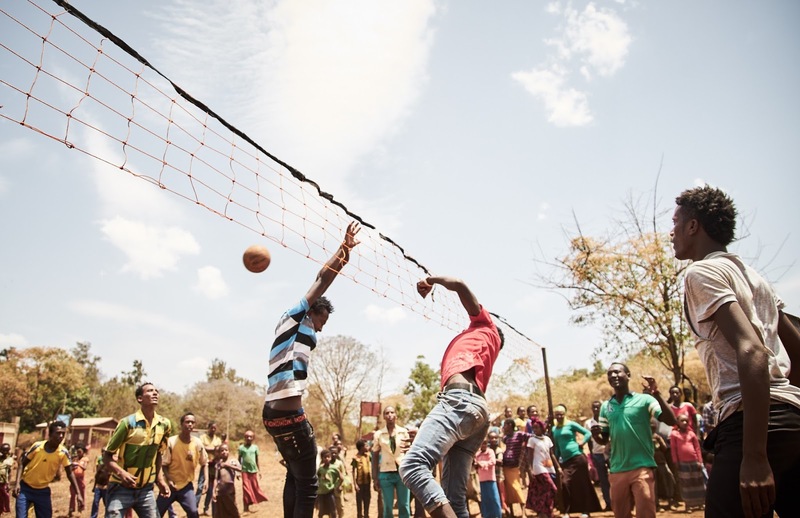 From pat-a-cake under a beautiful mango tree to a rousing game of volleyball, the way kids in Ethiopia play is not all that different from what you might expect on a Canadian playground. Neighbourhood friends gather outside to run, skip, and have fun together. The big emphasis is on the word outside. When there's plenty of sunshine to enjoy—particularly on cooler mornings or evenings, or even from the shade when it's too hot out—there's no reason to stay indoors. Playing outside also draws a crowd, turning any game into a spectator sport. With the support of FH, communities now have better access to clean water, education, and healthcare which leaves more time for kids to just be kids. 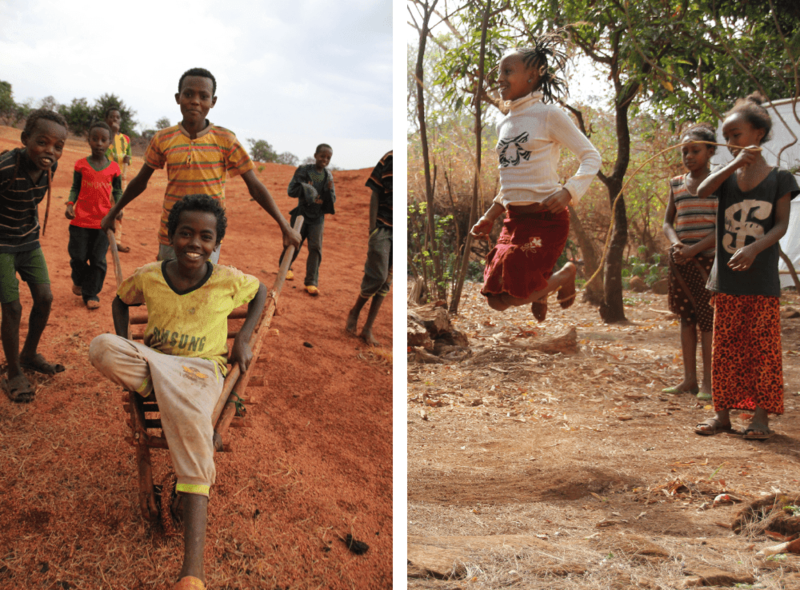 Boys take turns getting rides on a wheelbarrow and girls jump super high while skipping rope. Friends laugh and make silly faces for the camera. An older boy spikes a volleyball. Dibe and Maskrerem play pat-a-cake in the shade of a mango tree. 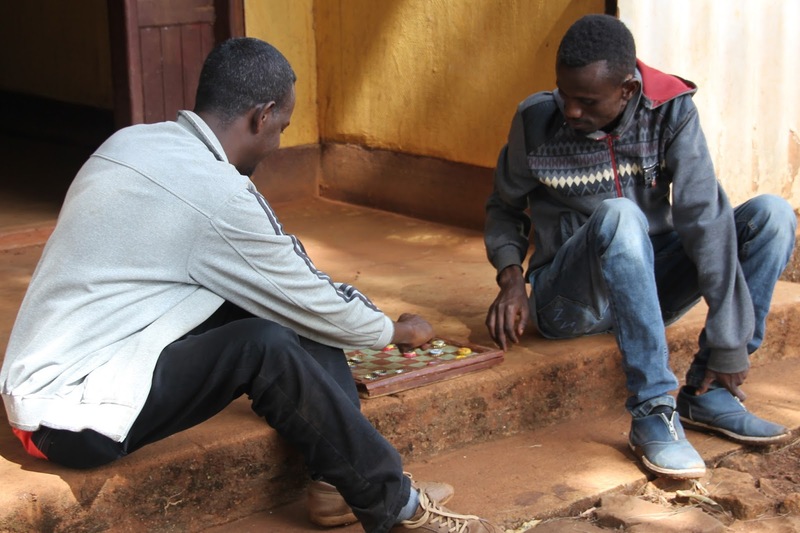 Two kids-at-heart enjoy a game of checkers on the porch. Outdoor foosball always draws a crowd.